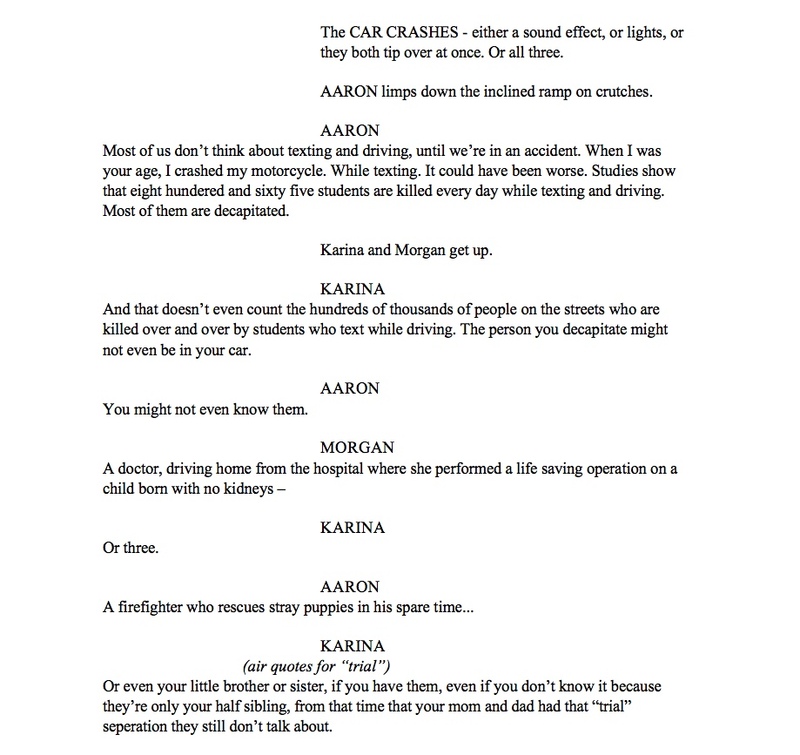 Three actors presenting a cheesy anti-texting and driving play are confronted by a student who lost his brother in an accident. 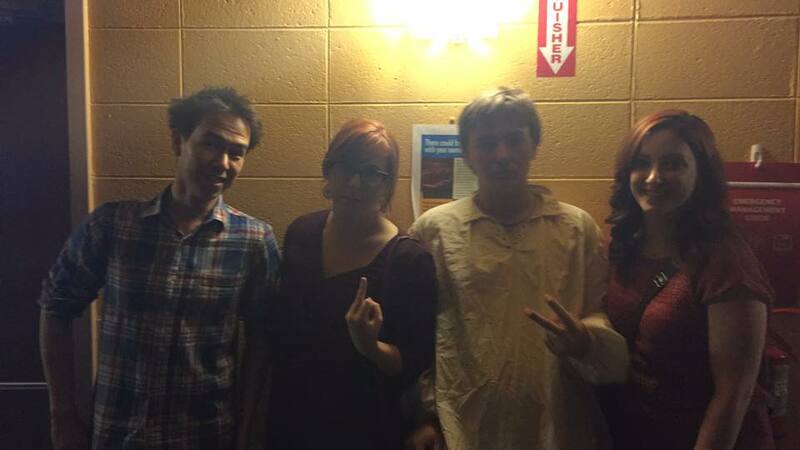 Lyle Meier, Morgan Mitchell, Aaron Bell and Karina Becker at TBA Theatre in Anchorage, Alaska. Directed by Dawson Moore. When a group of young actors on the educational tour circuit get an extra performance of their anti texting-and-driving PSA added on, they are prepared for anything - except a confrontation with a student who recently lost his brother. 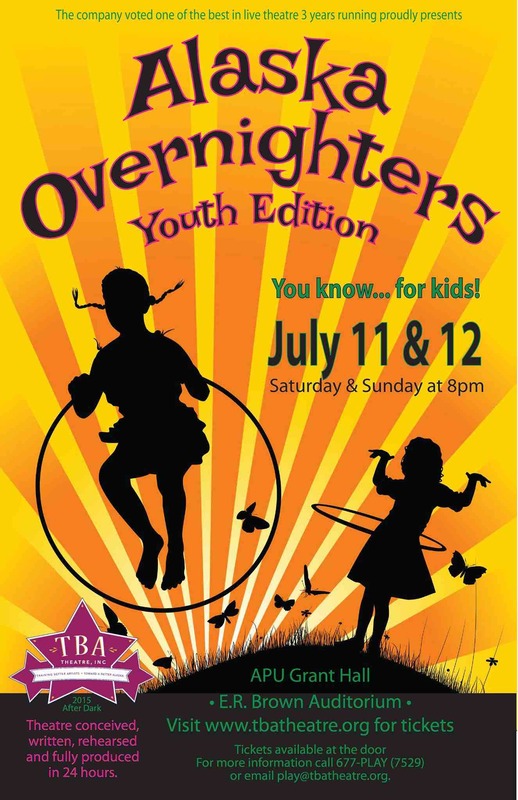 Funny and poignant, this play was written for the Alaska Overnighters 24 hour play festival. The play is available from the playwright, or can be found on the New Play Exchange.